MABAS DIVISION 15 BOX ALARM FOR A STRUCTURE FIRE AT "THE TIMBERS" -- TIMBERS OF SHOREWOOD RETIREMENT COMMUNITY FOR A FIRE IN A TRASH COMPACTOR. ELWOOD, JOLIET, ROCKDALE, WILMINGTON, MANHATTAN, EAST JOLIET, BRAIDWOOD, MANHATTAN, COAL CITY AND OTHERS ARE MUTUAL AID. FIRE STRUCK OUT AT ABOUT 4:50 P.M. UNKNOWN SPILL/ODOR IN A RESIDENTIAL HIGH-RISE. CV 2-7-1 AND 5-1-5 TO SCENE PER BN 1. ODOR FROM FLOOR REFINISHING CHEMICAL. BUILDING DEPARTMENT CALLED TO SCENE. ROOM SECURED AND AIR SEALED. HALLWAY FLOOR VENTILATED. 33-STORY BUILDING CONSTRUCTED IN EARLY 1970S. BN 9 REPORTS A NATURAL GAS FED FIRE IN AN OCCUPIED TWO-STORY ORDINARY 30X40. TWO LINES ON THE FIRE AND PEOPLES GAS COMPANY CALLED TO THE SCENE. DEFENSIVE OPERATION WITH UNSTABLE BUILDING FLOORS. LATER 4 LINES ON THE FIRE WITH FIRE IN BASEMENT AND ON FIRST AND SECOND FLOORS. WOMAN, 70, WITH SHORTNESS OF BREATH AND A FIREFIGHTER WITH SMOKE INHALATION TRANSPORTED TO ST. FRANCIS HOSPITAL IN EVANSTON. STRUCK OUT BY ORDERS OF 2-2-2. ONE-VEHICLE CRASH INTO A MEDIAN KILLED A FEMALE DRIVER WITH NO PASSENGERS ON WEST MADISON STREET, JUST WEST OF DAMEN AVENUE. CRASH INVOLVED EXTRICATION WITH ENG 26 AND TRK 7. VICTIM EXTRICATED BY 1:35 AM. SQD 1, BN 4 HELD UP. SHAWNA DARO, OF ARLINGTON HEIGHTS, WAS TRANSPORTED TO LEVEL I TRAUMA CENTER COOK COUNTY STROGER HOSPITAL, WHERE SHE WAS PRONOUNCED DEAD THIRTY MINUTES AFTER ARRIVAL. BN 24. HEAVY SMOKE SHOWING FROM THREE-STORY APARTMENT BUILDING. FIRE ON THE THIRD FLOOR WITH ONE LINE ON THE FIRE APARTMENT FIRE, AERIAL UP AND ROOF BEING OPENED. FIRE OUT AT ABOUT 3:48 PM. SQD 5 AND CV 274 HELD UP. BN 6 RECEIVING REPORT A UNITED BOEING 777 WITH 134 SOULS ON BOARD ARRIVING RUNWAY 14R WITH ONE ENGINE OUT. WIND SOUTH 12 MPH WITH STORMS IN THE AREA. FIRE COMPANIES STAGING AT "D" AS IN DELTA. STILL AND BOX STRUCK OUT AT ABOUT 3:25 PM. EMS PLAN 1 SECURED AT ABOUT 3:25 PM. MABAS DIVISION 3 EMS BOX LEVEL 2 NEAR OAKTON AND PROSPECT FOR A CRASH INVOLVING A SCHOOL BUS AND MULTIPLE OTHER CRASHES. SEVERAL VICTIMS TRANSPORTED TO LEVEL I TRAUMA CENTER ADVOCATE LUTHERAN GENERAL HOSPITAL. NILES, NORTH MAINE, MORTON GROVE, GLENVIEW, SKOKIE, ROSEMONT, AND OTHERS MUTUAL AID. STAGING OAKTON WEST OF MILWAUKEE AVE.
MAN INJURED AND TRANSPORTED TO ADVOCATE GOOD SHEPHERD HOSPITAL -- IN GOOD CONDITION. VICTIM WAS NOT WEARING A HELMET. CAR OVER THE BRIDGE ONTO CANAL BANK DRIVE -- A 50-FOOT DROP. TWO WOMEN KILLED IN THE VEHICLE, AND A THIRD WOMAN INJURED. MICHELLE MIRANDA, 37, AND SANDRA FRANKUM, 36, WERE PRONOUNCED DEAD AT THE SCENE. A THIRD WOMAN WAS TRANSPORTED TO A HOSPITAL. PROLONGED ACCIDENT INVESTIGATION AT SCENE THROUGH SUNDAY EVENING. ILLINOIS STATE POLICE INVESTIGATORS ASSISTING LYONS POLICE. ONE LINE ON THE FIRE. QUICK KNOCK ON THE FIRE. MABAS DIVISION 12 EMS BOX #6 FOR AN EXTRICATION CRASH WITH MULTIPLE INJURIES. CRASH REPORTED SOUTH OF THE BRIDGE, INVOLVING A VAN AND A CAR. CAROL STREAM, GENEVA, ST. CHARLES, WHEATON, AND OTHER MUTUAL AID. ALL NON-LIFE-THREATENING INJURIES. ONE VEHICLE WAS ON TOP OF ANOTHER VEHICLE. TWO PEOPLE STILL PINNED IN AT 6:55 PM. MABAS DIVISION 24 EMS BOX LEVEL 3 FOR CRASH ON EASTBOUND I-80 AT I-394 WITH AT LEAST NINE PEOPLE INJURED. CHICAGO HEIGHTS, COUNTRY CLUB HILLS, BUD'S AMBULANCE, THORNTON AND OTHERS ARE MUTUAL AID. STAGING IS AT THE THORNTON OASIS. RAMPS ARE REPORTED TO BE SLIPPERY -- PROCEED WITH CAUTION. EXTRICATION CRASH INVOLVING A 1996 MITSUBISHI GALLANT SPLIT IN HALF BY HIGH-SPEED FORCE. DRIVER EXTRICATED WITH SEVERE HEAD TRAUMA, TRANSPORTED TO LEVEL I TRAUMA CENTER ADVOCATE CHRIST COMMUNITY HOSPITAL, WHERE HE WAS PRONOUNCED DEAD. MALE, 20, TREATED AND RELEASED FROM ACCH. STILL AND BOX AND EMS PLAN 1 . FIRE CONTAINED TO ONE ROOM. 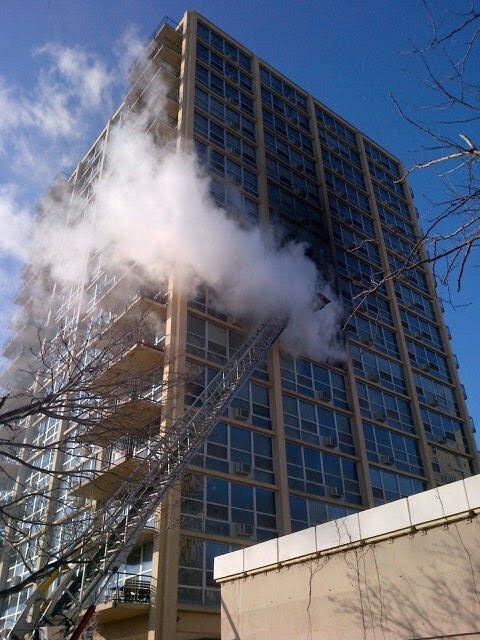 FIRE ON SECOND FLOOR OF 16-STORY 50 X 100 FOOT HIGH-RISE. ONE MALE VICTIM TRANSPORTED CODE RED TO STROGER. FIRE STRUCK OUT AT 1:00 AM. STONE PARK FIRE DEPARTMENT REQUESTED AN EMS BOX #199 FOR A CRASH WITH MULTIPLE INJURIES. BERKELY, BENSENVILLE, RIVER PARK, SCHILLER PARK, STONE PARK, AND NORWOOD PARK ARE MUTUAL AID. CLOSE PROXIMITY DETACHED GARAGE FIRE IN UNINCORPORATED SCHAUMBURG. SCHAUMBURG MUTUAL AID. MABAS DIVISION 18 BOX #11 TO THE THIRD ALARM FOR A HOUSE FIRE. MOUNT MORRIS, FORERSTON, AND OTHERS MUTUAL AID. BOXES CAUGHT FIRE AT "TAYLOR STREET PIZZA." SPRINKLER SYSTEM AND FIREFIGHTERS HAD THE FIRE EXTINGUISHED WITHIN 15 MINUTES. NO EXTENSION, NO INJURIES. ESTIMATED DAMAGE: $80,000. PRIMARY SEARCHES ON FIRST AND SECOND FLOORS NEGATIVE. THREE LINES ON THE FIRE -- BASEMENT, FIRST, AND SECOND FLOOR. LADDER TO THE ROOF WITH ROOF OPENED UP. FIRE ENGINE RESPONSE AT LEAST TWO TIMES OVERNIGHT TO HIT SPOT FIRES WITH DECK GUN. BRICK HOME WITH A FIRE AND REPORT OF PEOPLE TRAPPED IN THE BASEMENT. STAGING AT JACKSON AND CICERO. FROZEN HYDRANT AT LINCOLN AVE AND MONTROSE AVE. CORRECTED LOCATION IS 4327 NORTH LEAVITT ST. VACANT CHICAGO-STYLE BUNGALOW HOUSE WITH A FIRE IN THE REAR. FROZEN HYDRANT -- GOING TO THE NEXT HYDRANT. TRK 18 TAKING THE ROOF. BN 15 RIT, TRK 33 RIT. MABAS DIVISION 16 HAZMAT BOX FOR A POTASSIUM CYANIDE SPILL. 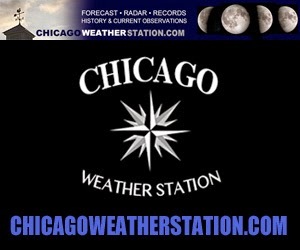 BOLINGBROOK, GLENSIDE, LOMBARD, DOWNERS GROVE, NAPERVILLE, VILLA PARK, WARRENVILLE, WHEATON, YORK CENTER. DIVISION 16 AND DIVISION 12 TECHS ARE RESPONDING. A SMALL AMOUNT OF POTASSIUM CYANIDE WAS DISCOVERED AFTER A WELL-BEING CHECK, POSSIBLY ON WHART DRIVE -- CONNECTED TO ANCHOR DRIVE. BN 2 TRK 18 REPORTS THEY HAVE A FIRE AT A 25X60 ONE-STORY CHURCH. TWO LINES ON THE FIRE WITH PRIMARY SEARCH UNDERWAY. BN 15 TRK 11 RIT. BN 22 CALLS FOR A WORKING FIRE RESPONSE FOR SMOKE SHOWING FROM THE SECOND FLOOR OF A THREE-STORY BRICK RESIDENTIAL BUILDING. TRK 24, SQD 5 AND OTHERS RESPONDING. PRIMARY SEARCH COMPLET ON FIRST, SECOND AND THIRD. BN 21 RIT, TRK 62 RIT. BN 11 REPORTS CODE BLACK IN A FRONT LIVING ROOM. INITIAL ADDRESS WAS REPORTED AS 5037 NORTH MOBILE -- MAY HAVE BEEN WHERE FIRST CALLER CALLED FROM. OFI ON THE SCENE. STILL AND BOX ALARM MINUS THE SQUAD FOR SIGNIFICANT REKINDLE AT 5-11 FIRE FROM TUESDAY, JANUARY 22, 2013. ASHLAND AVE IS SHUT DOWN BETWEEN 35TH AND 39TH STREETS. INITIALLY FIREFIGHTERS WERE WORKING ON A REKINDLE JUST BEFORE 6:00 AM. AN ADDITIONAL TOWER LADDER AND ENGINE WERE REQUESTED AT ABOUT 6:35 AM, THEN A STILL AND BOX ALARM MINUS THE SQUAD WAS CALLED AT ABOUT 6:41 AM. BOX ENGINES ARE ENG 29 AND ENG 28. TO ALL COMPANIES FROM CV 2-7-3: RELIEF COMPANIES ORDERED TO COME TO THE SCENE "WE'RE GOING TO BE HERE ALL DAY." DELUGE UNIT ORDERED TO REPORT TO 2-2-5 AT SECTOR 3. Firefighters in Chicago were back at the scene of a massive warehouse fire after flames rekindled Thursday morning. Crews originally battled the blaze Tuesday night in frigid temperatures that left the gutted structure caked in ice (AP). Firefighting operations on Tuesday night a little over one hour into the fire (and later) captured by Larry Shapiro (© Copyright Shapiro Photography). REPORT OF PEOPLE TRAPPED ON THE SECOND FLOOR, AND A REPORT OF VICTIM WITH A BURN INJURY AT THE FRONT OF THE BUILDING.NOTHING SHOWING ON ARRIVAL. STILL AND BOX IMMEDIATELY STRUCK OUT. THREE CHILDREN -- TWO GIRLS AND A BOY -- WERE INJURED AND TRANSPORTED TO COMER CHILDREN'S HOSPITAL. ONE GIRL CRITICALLY INJURED. MULTIPLE REQUESTS FROM 2-2-5 FOR POLICE TO RESPOND STARTING IMMEDIATELY. STILL REQUESTING POLICE TO RESPOND AND ASKING FOR A SUPERVISOR AT 8:00 PM. STAGING AREA AT RACINE AND 76TH ST.
BN 18 CALLS FOR AMBULANCE TO THE FRONT OF THE BUILDING -- EXPEDITE. EMS BOX 6-73 FOR A MULTI-INJUR, MULTI-VEHICLE CRASH. KIRKLAND, CORTLAND, SYCAMORE AND HAMPSHIRE, MONROE, HUNTLEY, AND OTHERS ARE MUTUAL AID. MABAS DIVISION 11 BOX 600 FOR A HOUSE FIRE. UPGRADED TO A SECOND ALARM ABOUT 5:18 PM. NORTH RIVERSIDE, CICERO, FOREST PARK AND OTHERS MUTUAL AID. MABAS DIVISION 4 BOX ALARM 22-12 FOR A HOUSE FIRE -- SINGLE-STORY FRAME. GRAYSLAKE, MCHENRY, LAKE VILLA, ROUND LAKE, QUAD 2 REHAB AND OTHERS MUTUAL AID. MABAS DIVISION 4 BOX ALARM BOX 34-A1 FOR A COMMERCIAL BUILDING FIRE. STAGING IS JUST SOUTH OF ROUTE 176 AT THE AMERICAN LEGION HALL. 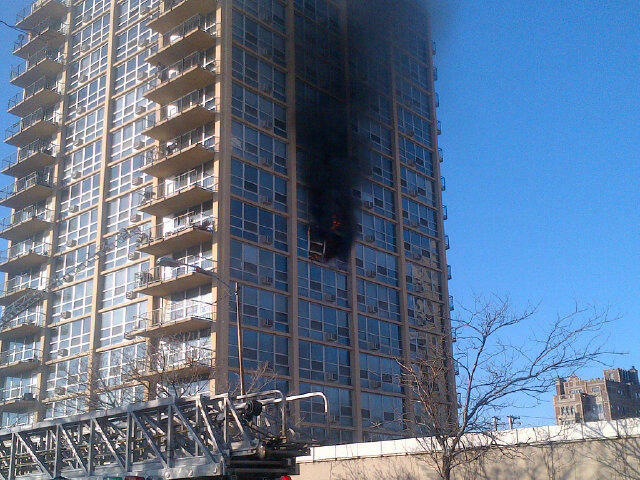 CHICAGO | STILL & BOX ALARM FIRE | | B/O BN 22 | 1.5 STY 2 LINES ON THE FIRE. BN 11, SQD 2, 2-2-2 AND OTHERS ON THE SCENE FOR A HOUSE FIRE. TWO-STORY ORDINARY WITH FIRE ON THE FIRST FLOOR. ONE LINE ON THE FIRE AND AN AERIAL LADDER GOING TO THE ROOF. BN 11 AT 12:47 PM REPORTS FIRE UNDER CONTROL, PRIMARY SEARCH NEGATIVE. INJURED FIREFIGHTER -- CATEGORY 3. BN 13 STILL ASSIGNMENT. PREVIOUS RUBBISH FIRE THERE. WARMING BUSES FOR RESIDENTS. MABAS BOX DIVISION 4 BOX 36-1 FOR A HOUSE FIRE JUST EAST OF BARRINGTON HIGH SCHOOL. ALGONQUIN, ARLINGTON HEIGHTS, BUFFALO GROVE, LONG GROVE, PALATINE, PALATINE RURAL, ROLLING MEADOWS AND OTHERS ARE MUTUAL AID. WILMINGTON, ELLWOOD, AND COAL CITY MUTUAL AID. [UPDATE: REKINDLE 6AM THURSDAY, JAN 2, 2013.] FIRE IN AT LEAST A FIVE STORY WAREHOUSE 5-1-5 CALLS FOR A STILL AND BOX AND THEN A 2-11 ALARM. 5-STORY, ONE-HALF BLOCK LONG. THIRD TOWER TO THE SCENE, AND COMPANIES GOING DEFENSIVE. TRK 52 RIT, 2-7-3 ON SCENE. 2-1-5 REQUEST A 5-11 ALARM, AND PORTABLE DELUGE, RESERVE SNORKEL. ABOUT ONE-THIRD OF CITY OF CHICAGO FIRE EQUIPMENT IS FIGHTING THIS FIRE. ONE FIREFIGHTER INJURED WITH A LOW BACK INJURY. 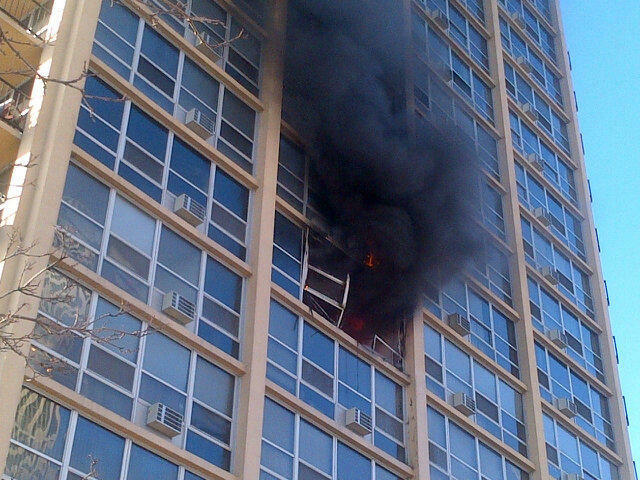 3-11 FIRE AT "LAKEFRONT PLACE" 16-STORY HIGH-RISE. FIRE ON 7TH FLOOR STARTED AS STILL AND BOX AND ESCALATED TO 3-11 ALARM AT 9:11 AM. THREE VICTIMS TRANSPORTED CODE RED. ALL THREE VICTIMS WERE IN CARDIAC ARREST WHEN THEY WERE DISCOVERED. ALL VICTIMS WERE TREATED WITH CPR AND ADVANCED LIFE SUPPORT. ONE MAN WAS TRANSPORTED TO UNIVERSITY OF CHICAGO MEDICAL CENTER WHERE HE WAS PRONOUNCED DEAD. A SECOND MAN WAS TRANSPORTED TO JACKSON PARK HOSPITAL WHERE HE WAS PRONOUNCED DEAD. THE WOMAN WAS REVIVED WITH CPR AND ADVANCED LIFE SUPPRT AND TRANSPORTED TO UNIVERSITY OF CHICAGO MEDICAL CENTER. 3-11 Fire at "Lakefront Place"
CODE 4 FOR WELL-INVOLVED MOBILE HOME FIRE WITH HEAVY SMOKE ON LOT 132. ARLINGTON HEIGHTS, DES PLAINES, MOUNT PROSPECT, AND PROSPECT HEIGHTS MUTUAL AID. PUTTING OUT HOT SPOTS BY 6:25 A.M. BUT STILL HEAVY SMOKE. AT LEAST TWO LINES ON THE FIRE. Video of mobile home fire in Oasis Trailer Park near Elmhurst Road, just south of Interstate 90. GREGORIO CARMONA, 35, CHARGED WITH FIRST-DEGREE MURDER AND AGGRAVATED ARSON. CLAUDIA MARTINEZ, 35 DIED OF THERMAL INJURIES AFTER CARMONA POURED GASOLINE ON HER AND IGNITED WITH AN UNDISCLOSED METHOD. MARTINEZ TRANSPORTED TO LOYOLA UNIVERSITY MEDICAL CENTER BURN UNIT. PRONOUNCED DEAD AT 6:00 A.M. THE WOMAN'S DAUGHTER WAS INJURED IN THE FIRE AND TRANSPORTED TO SWEDISH COVENANT HOSPITAL. BN 20 REPORTS A LITTLE SMOKE AND REQUESTS A WORKING FIRE RESPONSE FOR A HOUSE FIRE. INCIDENT INITIALLY THOUGHT TO BE A FURNACE FIRE. WHEN FIREFIGHTERS CAME IN TO OPEN WINDOWS AND VENTILATE. THEY WERE INJURED BY CHEMICALS THAT WERE IN A BATHTUB. FIVE FIREFIGHTERS AND ONE CITIZEN INJURED. ONE OF THE FIREFIGHTERS INJURED A HIP. THE INJURED WERE TRANSPORTED TO HOLY CROSS HOSPITAL AND LITTLE COMPANY OF MARY HOSPITAL. BN 22, TRK 24, 27, SQD 5, CV 2-7-4, 4-5-6, AMB 17. HUMAN SERVICE REQUESTED FOR AT LEAST TWO ADULTS DISPLACED. MAIN FIRE EXTINGUISHED BY ABOUT 10:04 PM. 1.5 STORY 25X60 HOME WITH ELECTRICAL FIRE. ATTEMPTING TO RESCUE DOG IN THE BASEMENT. ONE LINE OUT ON THE FIRST FLOOR. BN 20 TRK 50 RIT, SQD 5, CV 2-7-4. BN 15 REPORTS TRK 8 RESCUED A MAN THAT WAS TRAPPED INSIDE THE TANK OF A TANKER TRUCK. NO WORD ON ANY INJURIES. BN 17 REQUESTS STILL AND BOX FOR A BUILDING COLLAPSE OF 2.5 STORY FRAME. REPORTED AS A PANCAKE COLLAPSE OF A VACANT HOUSE. LIGHT WAGON ON SCENE. BUILDING DEPARTMENT ALSO RESPONDED TO THE SCENE. BUILDING WAS DAMAGE SEVERAL MONTHS PRIOR BY A FIRE, AND MAY HAVE BEEN BLOWN OVER LAST NIGHT BY HIGH WINDS. A WIND ADVISORY WAS IN EFFECT WITH THE HIGHEST WIND GUSTS AT ABOUT 50 MPH SATURDAY NIGHT. THE BUILDING WAS UNDERGOING REPAIRS AFTER THE FIRE AND PRIOR TO THE COLLAPSE. STILL AND BOX AND EMS PLAN FOR STANDBY AT O'HARE AT RUNWAY 28. STAGING AREA "E-ECHO" FOR THE STANDBY. MABAS DIVISION 10 EMS BOX. OPEN KEY ON IFERN RADIO CAUSING COMMUNICATIONS PROBLEMS. UNKNOWN INCIDENT AT THIS TIME. AMBULANCES FROM PLEASANTVIEW, MCCOOK, LA GRANGE. EB OGDEN BLOCKED AT JOLIET. ENG 7 RIT. ENG 8 TAKING A LINE TO THE REAR. TOWER 7 WORKING HORIZONTAL AND VERTICAL VENTILATION. ENG 9 REPORTS FIRE THROUGHOUT THE ENTIRE ATTIC. GENERAL ALARM BOX 1.FOR A HOUSE FIRE. LISLE WOODRIDGE, DOWNERS GROVE DARIEN-WOODRIDGE, ROMEOVILLE, LOCKPORT MUTUAL AID. MABAS DIVISION 7 BOX 40-100 FOR A HOUSE FIRE. AROMA PARK, LIMESTONE, PEOTONE AND OTHERS MUTUAL AID. INITIALLY SMOKE FROM THE BASEMENT THEN THEN POLICE ARRIVE TO FIND FULLY-INVOLVED HOUSE FIRE. DOWNED POWER LINES IN THE REAR. MABAS 25 BOX ALARM FOR A HOUSE FIRE. TENDERS ONLY. FIRST COMPANIES REPORT SMOKE SHOWING UPON ARRIVAL. RESIDENT REPORTED A DRYER FIRE. INITIALLY REPORTED AS EXTRICATION CRASH. FIRE COMMAND REPORTS NO EXTRICATION, BUT ASKS FOR A THIRD AMBULANCE. MALE, 27, INJURED IN EASTBOUND CAR VS UTILITY POLE DUI CRASH. MEDICAL HELICOPTER TRANSPORT TO LEVEL I TRAUMA CENTER ADVOCATE CONDELL MEDICAL CENTER IN LIBERTYVILLE. JOSEPH LAUDICINA IN FAIR CONDITION AFTER CRASHING 1999 PONTIAC GRAND AM AT HIGH SPEED. MULTIPLE CALLS FOR APARTMENT FIRE IN A TWO-STORY BUILDING WITH EVERYONE REPORTED EVACUATED. NORTHWEST HIGHWAY SHUT BETWEEN WOLF ROAD AND MT PROSPECT ROAD. MOUNT PROSPECT, PROSPECT HEIGHTS, NILES TRUCK RIT MUTUAL AID. THIRD AMBULANCE REQUESTED. ADDRESS WAS ALSO INITIALLY DISPATCHED AS 150 EAST NORTHWEST HIGHWAY. ENGINE 44 REPORTS A TWO-STORY VACANT 25X60 FIRE SHOWING ON ARRIVAL. BUILDING IS A TWO-FLAT WITH POSSIBLE PARTIAL OCCUPATION, AND FIRE ON THE FIRST FLOOR. FIRE OPERATIONS IN HIGH WINDS WITH SOME EXPOSURE RISKS AND EXPOSED ELECTRIC LINES BURNING. FIRE EXTINGUISHED IN ABOUT 15 MINUTES. MINIVAN CROSSED CENTER LINE OF ROUTE 64 AND HIT A SHUTTLE BUS HEAD-ON. DRIVER OF MINIVAN, BRIAN K. HOOPER, 37, PRONOUNCED DEAD AT THE SCENE. ROBERT WRIGHT, 53, AN ARIZONA RESIDENT, WAS INJURED. ROUTE 64 WAS BLOCKED FOR INVESTIGATION UNTIL ABOUT 2:15 P.M. MALE, 71 INJURED WHILE DRIVING A MINIVAN THAT WAS INVOLVED IN HEAD-ON COLLISION -- NON-LIFE-THREATENING INJURIES. SECOND SUFFERED MINOR INJURIES. BOTH TRANSPORTED TO CENTEGRA HOSPITAL, MCHENRY. FATAL CRASH NEAR SAME LOCATION LAST MONTH. HOUSE FIRE TWO FLAT WITH TWO ADULT MALES RESCUED BY ENGINE 116 AND SQUAD 5. BOTH VICTIMS SERIOUS TO CRITICAL. CREWS REQUESTING AMBULANCE TO THE REAR AND SECOND AMBULANCE TO THE SCENE. TWO LINES.ON THE FIRE. BOTH VICTIMS TRANSPORTED CODE RED TO UNSPECIFIED HOSPITAL(S). DISTRICT 15 REPORTS CRASH INVOLVING A TRUCK AND A CAMPER AT MILE MARKER 42.5. CRASH ON EASTBOUND INTERSTATE 90 VARYING REPORTS OF TWO RIGHT LANES OR ALL LANES BLOCKED BETWEEN US 20 AND IL 47. FULLY-INVOLVED SEMI-TRAILER TRUCK FIRE -- CARRYING FLOUR. TWO PATIENTS -- BOTH OUT OF VEHICLES AND POSSIBLY MEDICAL REFUSALS. CRASH INVOLVING MOTHER AND CHILD WITH ENTRAPMENT IN CAR THROUGH 7:55 P.M. UNTIL EXTRICATION COMPLETED AT COMPLETED AT ABOUT 8:47 P.M. MEDICAL HELICOPTER TRANSPORT TO LEVEL I TRAUMA CENTER ADVOCATE CONDELL MEDICAL CENTER, LIBERTYVILLE, AT ABOUT 9:05 P.M. MALE ABOUT 17-YEARS-OLD SHOT IN BACK AT CHICAGO STATE UNIVERSITY PARKING LOT. TRANSPORTED TO LEVEL I TRAUMA CENTER ADVOCATE CHRIST COMMUNITY MEDICAL CENTER IN SERIOUS CONDITION. TYRONE LAWSON WAS PRONOUNCED DEAD AT 9:59 PM. SHOOTING AFTER FIGHT AT BASKETBALL GAME BETWEEN SIMEON CAREER ACADEMY AND MORGAN PARK HIGH SCHOOL. CHICAGO STATE UNIVERSITY POLICE ARE INVESTIGATING. TWO MALE VICTIMS SHOT. BOTH STABLE CONDITION ONE TRANSPORTED TO STROGER, AND ONE TRANSPORTED TO HOLY CROSS HOSPITAL. BN 2 REPORTS MEDIUM PRESSURE GAS MAIN STRUCK BY CONSRUCITON WORKERS. GAS COMPANY EN ROUTE 20 MINUTE ETA, ONE DRY LINE ON STANDBY, TRAFFIC CONTROL AND STAGING AT STATE AND ROOSEVELT. MABAS DIVISION 11 BOX #900 FOR HOUSE FIRE. POLICE FIRST ON SCENE REPORT SMOKE SHOWING WITH THREE CARS ON THE DRIVEWAY. 1.5-STORY HOUSE, 60X25. TWO LINES ON THE FIRE, MAIN AERIAL TO THE ROOF. ONE VICTIM LOCATED ON PRIMARY SEARCH & TRANSPORTED CODE RED TO MACNEAL HOSPITAL IN BERWYN. FIRE OPS WENT DEFENSIVE FOR A SHORT TIME. FIRE STRUCK OUT AT 8:59 P.M.
THREE PEOPLE ABOARD AN AMERICAN EAGLE FLIGHT 3720 FROM NEW ORLEANS SLIGHTLY INJURED FROM TURBULENCE DURING DESCENT AND SCHEDULED APPROACH AT O'HARE INTERNATIONAL AIRPORT. AMERICAN EAGLE EQUIPMENT, A BOMBARDIER CRJ-700, CARRYING 26 PASSENGERS AND CREW OF FOUR DEPARTED LOUIS ARMSTRONG INTERNATIONAL AIRPORT AT 7:27 A.M. AND LANDED AT O'HARE INTERNATIONAL AIRPORT AT 9:31 A.M. AFTER TURBULENCE WHILE DESCENDING FROM 31,000 TO 29,000 FEET. THREE WITH MINOR INJURIES/NECK AND BACK PAIN: ONE TRANSPORT TO HOSPITAL AND TWO MEDICAL REFUSALS. SEVEN STUDENTS TRANSPORTED TO HOSPITAL(S) CODE GREEN AFTER A STUDENT ALLEGEDLY ACCIDENTALLY DISCHARGED PEPPER SPRAY IN A CLASSROOM OR CAFETERIA. ONE STUDENT REMOVED (EXPELLED?) FROM SCHOOL. PARAMEDICS TRANSPORTED A STABLE 47-YEAR-OLD MALE WITH A GSW TO THE HEAD TO NORTHWEST MEMORIAL HOSPITAL. PATIENT WAS FOUND ON THE STREET NEAR APPAREL CENTER AND ACROSS FROM EAST BANK CLUB. STILL AND BOX FOR HOUSE FIRE. BN 22 REPORTS FIRE THROUGHOUT. STRUCKOUT ON ORDERS OF 2-2-6 AT ABOUT 11:02 PM. ROLLOVER CRASH WITH ENTRAPMENT -- VEHICLE ON ITS SIDE. LINCOLNSHIRE-RIVERWOOD WORKING AN EXTRICATION. BUFFALO GROVE NOT REQUEST (JUST ADVISED) BUT RESPONDS AS JURISDICTION COURTESY. MABAS DIVISION 6 BOX ALARM BOX 6-62 FOR A STRUCTURE FIRE. DEKALB, SYCAMORE KIRKLAND HUNTLEY, BURLINGTON AND OTHERS MUTUAL AID. STAGING AT HUNTER AND THURBY. BN 12 AND BN 13 WORKING ON GARAGE FIRES IN TWO LOCATIONS. BN 13 REPORTS 910 HOMAN WITH EXTENSION TO 908 AND 914 WITH SLIGHT EXPOSURES TO HOUSES. ABOUT 5:06 AM BN 12 REPORTS 2.5 STORY ORDINARY 25 X 50 IN THE 700 BLOCK OF NORTH TROY ST WITH NOTHING SHOWING/MISTAKEN CITIZEN. MABAS DIVISION 25 TRT BOX CALLED FOR VEHICLE FLIPPED OVER INTERSTATE 39 BRIDGE INTO LITTLE VERMILLION RIVER. GRANDFATHER AND GRANDSON DISCOVERED BY RESCUERS CONSCIOUS AND BREATHING IN WATER WITH THEIR HEADS ABOVE THE SURFACE. BOTH VICTIMS WERE TRANSPORTED TO AN AREA HOSPITAL BY 6:30 P.M. THE TRT BOX WAS IMMEDIATELY STRUCK OUT. POLICE IN THE AREA REPORTED A LARGE PLUME OF SMOKE NEAR BENNET ROAD AND KING STREET. POLICE APPROACHED FIRE SCENE AS CALLERS IDENTIFIED ADDRESS AS A BUILDING GAYLORD STREET. POLICE ARRIVE AND REPORT FIRE THROUGH THE ROOF. FIREFIGHTERS ON SCENE REPORT FIRE THROUGH THE ROOF, AND A CORRECTED ADDRESS OF 105 GAYLORD STREET. FIREFIGHTERS, OBSERVING THE ROOF, REPORT A SAGGING ROOF OF ABOUT 3 FEET. BUILDING IS A 40X125 FOOT AUTOMOTIVE BUILDING. TWO LINES ON THE FIRE, WITH LIMITED INTERIOR ATTACK DUE TO ROOF DAMAGE. FIRE REPORTED EXTINGUISHED AT ABOUT 12:40 P.M.
ONE PERSON FROM THE BUILDING REPORTED TO HAVE A HAND INJURY AND TRANSPORTED TO A NEARBY HOSPITAL. BUILDING INSPECTORS CALLED TO THE SCENE TO CHECK FOR STUCTURAL STABILITY BEFORE FIRE INVESTIGATION CAN PROCEED. ARLINGTON HEIGHTS, DES PLAINES, ITASCA MUTUAL AID. EMS PLAN 1 SECURED AT ABOUT 2:01 PM. MABAS DIVISION 20 FOR BOX ALARM BOX 300 FOR A HOUSE FIRE. STAGING IS AT HYDE PARK AND ST CHARLES.STONE PARK, NORTHLAKE AND OTHERS MUTUAL AID. LINCOLN TOWN CAR DRIVEN BY ELDERLY DRIVER THROUGH GLASS WINDOWS INTO STORE -- ABOUT 5 FOOT INTRUSION. ONE PERSON TRANSPORTED TO ADVOCATE ILLINOIS MASONIC HOSPITAL IN GOOD CONDITION. 2-11 ALARM FIRE FOR HEAVY FIRE WITH MULTIPLE EXPOSURE PROBLEMS AT A THREE-STORY VACANT APARTMENT BUILDING (BY ORDERS 2-2-6 ). NO INJURIES REPORTED. 2 ADULTS AND 3 KIDS DISPLACED FROM 9027 EXCHANGE AVENUE. BOTH DRIVERS KILLED AFTER AT LEAST ONE DRIVER CROSSED THE CENTER LINE AND COLLIDED WITH A VEHICLE TRAVELING IN THE OPPOSITE DIRECTION. ONE DRIVER IS IDENTIFIED AS SEAN LARMON, 36, OF CHICAGO. THE SECOND VICTIM IS IDENTIFIED AS DEMETRIUS CAPLES, 28, OF CHICAGO. A FEMALE PASSENGER WAS ALSO TRANSPORTED TO A LOCAL HOSPITAL. MOUNT PROSPECT AMBULANCE 12 RESPONDING. THREE-AMBULANCE RESPONSE: ELK GROVE TOWNSHIP AMBULANCE AND DES PLAINES AMBULANCE 73 ARE MUTUAL AID AMBULANCES FOR ACCIDENT WITH MULTIPLE INJURIES. CRASH IN FRONT OF POPEYES CHICKEN. BLACK MERCEDES SUV DRIVEN EASTBOUND ON ROLLINS RD STRUCK A GUARD RAIL, ROLLED OVER AND BURNED EARLY MORNING THURSDAY. DRIVER JUSTIN SCHULZE, 23, RECEIVED MINOR INJURIES. PASSENGER JOHN BRUHN, 29, SUFFERED A TRAUMATIC AMPUTATION OF A FOOT, AND BROKEN RIBS. BOTH MEN WERE ABLE TO ESCAPE THE CAR ON THEIR OWN. MABAS DIVISION 2 BOX ALARM 2-1820 FOR FULLY-INVOLVED HOUSE FIRE IN OR NEAR ST. CHARLES. STAGING AT RANDALL RD AND RED GATE. BATAVIA, BURLINGTON, HANOVER PARK, HAMPSHIRE, SUGAR GROVE, SOUTH ELGIN AND OTHERS MUTUAL AID. ADDRESS GIVEN AS 3N353 CRANE RD AND 5N353 CRANE RD. GOOGLE HAS NO LISTING FOR 3N353. BOX ALARM BOX 10 FOR A STRUCTURE FIRE. CHERRY VALLEY, ROCKTON, METRO AMBULANCE AND OTHERS MUTUAL AID. COMPANIES ON ARRIVAL CONFIRMED A PIN-IN CRASH. SQUAD 5 ORDER TO ARRIVE FROM THE NORTH ON STATE STREET. BN 22 REQUEST TWO ADDITIONAL FIRE SUPPRESSION COMPANIES, GETS ENG 62 TRK 24. FIVE CRASH VICTIMS TRANSPORTED TO JOHN H. STROGER, JR. HOSPITAL OF COOK COUNTY, MOUNT SINAI HOSPITAL, WEST SUBURBAN MEDICAL CENTER AND LORETTO HOSPITAL. WORKING FIRE RESPONSE FOR A FIRE IN THE BASEMENT OF A THREE-STORY BUILDING. ONE LINE ON THE FIRE WITH AERIAL TO THE ROOF. HOMEOWNER WOKE UP TO SMOKE AND DISCOVERED FIRE IN FRONT LIVING ROOM, AND ATTEMPTED TO EXTINGUISH FIRE WITH GARDEN HOSE. FIREFIGHTERS ON SCENE WITHIN THREE MINUTES REPORTED FIRE OUT FRONT WINDOW. HOMEOWNER SUFFERED BURNS TO HANDS AND SMOKE INHALATION, AND WAS TRANSPORTED TO NORTHWEST COMMUNITY HOSPITAL. TWO CATS RESCUED AND TRANSPORTED TO GOLF ROSE VETERINARY HOSPITAL. A THIRD CAT SUCCUMBED TO SMOKE INHALATION. EXTENSIVE POLICE INVESTIGATION, INCLUDING INSPECTION OF EXTERIOR PROPERTY GROUNDS AND PROPERTY GROUNDS EAST OF FIRE BUILDING. MABAS DIVISION 19 BOX ALARM ON BOX # 6409 FOR A HOUSE FIRE. HEAVY FIRE INVOLVED WITH A PARTIAL COLLAPSE OF THE HOUSE INTO THE BASEMENT, AND FIRE REPORTED THROUGH THE ROOF. THREE LINES ON THE FIRE; AERIAL UP. LEMONT AMBULANCE IS SECOND AMBULANCE ON THE SCENE. ADDRESS IS NEAR 128TH AND SOUTH MCVICKERS AVENUE. BOX ALARM STRUCKOUT, AND RED CROSS CALLED TO THE SCENE. FIRE BOX 15-11 FOR A HOUSE FIRE. WORKING APARTMENT FIRE. CHICAGO FIRE DEPARMENT SQUAD 7 MUTUAL AID. PLEASANTVIEW - 6520 PONTIAC DR INDIAN HEAD PARK- STRUCTURE FIRE BOX 15-11. UPDATE/VICTIM IDENTITY RELEASED: CHRISTINE STAMATIS, OF ARLINGTON HEIGHTS. FREIGHTLINER SEMI-TRAILER TRUCK VS. 2002 MAZDA PROTÉGÉ. PROSPECT HEIGHTS FIREFIGHTER/PARAMEDICS FIRST ON THE SCENE REPORTED A CAR IN THE INTERSECTION WITH MODERATE TO SERIOUS DAMAGE. A MUTUAL AID AMBULANCE FROM GLENVIEW RESPONDED TO THE SCENE. A FIRE ENGINE FROM MOUNT PROSPECT ALSO RESPONDED TO THE SCENE. NO WORD ON THE NUMBER OF INJURIES. TOYOTA COROLLA STOLEN FROM WOMAN WHO "TRUSTED 12-14 YEAR-OLD TEEN TO BORROW HER CAR. LOVES PARK POLICE NOTIFIED OF GAS STATION DRIVE OFF IN 6200 BLOCK OF 2ND STREET. POLICE SPOT VEHICLE AT 7:40 P.M. AT WINDSOR ROAD AND 2ND STREET. FEMALE DRIVER GOES THROUGH RED LIGHT TO EVADE POLICE, AND HEADS SOUTH ON SECOND STREET FOR A SHORT DISTANCE AND CRASHES HEAD-ON INTO A GMC SIERRA IN THE 6200 BLOCK OF 2ND STREET. FEMALE, 13, TRANSPORTED IN CRITICAL CONDITION TO ROCKFORD MEMORIAL HOSPITAL. FEMALE, 12, AIRLIFTED IN CRITICAL CONDITION TO ROCKFORD MEMORIAL HOSPITAL. TWO TEENS IN BACK SEAT ALSO TRANSPORTED -- BOTH HOSPITALIZED. DRIVER OF GMC SIERRA CHARGED WITH DUI. TWO COACH HOUSE AND A GARAGE ON FIRE WITH TWO LINES ON THE FIRES. FIRE STARTED IN THE GARAGE, 20X25, AND COMMUNICATED TO TWO COACH HOUSES, EACH 25X40. FIRE IN AN ATTACHED GARAGE AT A TWO-STORY TOWNHOUSE. GRAYSLAKE MUTUAL AID. MABAS DIVISION 8 EMS BOX FOR CRASH WITH ENTRAPMENT INVOLVING A CAR AND A BUS. EMS BOX 11. MEDICAL HELICOPTER ON STANDBY. HOUSE FIRE FUELED BY NATURAL CHRISTMAS TREE KILLED GRANDMOTHER SHARON CASHATT, 61, HER ADOPTED SON DOUGLAS CASHATT, 21, HER INFANT GREAT GRANDDAUGHTER ISABELLA GONZALEZ AND HER 13-YEAR-OLD GRANDSON, DOMINICK CASHATT. TWO ADULTS IN THEIR 20S WERE ABLE TO ESCAPE THE FIRE. ATTEMPTS TO EXTINGUISH CHRISTMAS TREE FIRE WITH WATER FROM KITCHEN FAILED. POSSIBLY ELECTRICAL ORIGIN NEAR CHRISTMAS TREE. MABAS DIVISION 5 BOX 5-872 FOR A HOUSE FIRE. MABAS DIVISION 20 BOX ALARM BOX 100 FOR HOUSE FIRE. INVESTIGATOR BOX ALSO REQUESTED. MABAS BOX ALARM 36-2 FOR A STRUCTURE FIRE. ARLINGTON HEIGHTS, BUFFALO GROVE, LONG GROVE, PALATINE, ROLLING MEADOWS AND OTHERS MUTUAL AID. LOCATION ON PENNY ROAD BETWEEN OLD SUTTON RD AND HEALY RD. CRETE SQUAD, STEGER ESTATES WITH A TENDER. STAGING IS ON COTTAGE GROVE. MOKENA WITH A FOAM TRUCK. GENEVA ENERGY IS A TIRE-BURNING RENEWABLE ENERGY PLANT NEAR THE FORD STAMPING PLANT ON LINCOLN HIGHWAY IN CHICAGO HEIGHTS. MAMBAS DIVISION 27 BOX ALARM SECOND LEVEL FOR A HOUSE FIRE. WORKING FIRE HOUSE FIRE ON A CULDESAC. VEHICLE ON ROOF ON RAILROAD TRACKS AND REPORT OF ENTRAPMENT. ACCIDENT RECONSTRUCTION TEAM CALLED TO THE SCENE. NORTHBOUND 2005 FORD EXPEDITION SPUN OUT AT CURVE, HIT A SOUTHBOUND 2005 HONDA ACCORD, LEFT ROADWAY AND FLIPPED ONTO ROOF KILLING KARL SMITH, 45, OF ST. CHARLES. FEMALE DRIVER, DEBRA BERGER, 60, OF BATAVIA TRANSPORTED TO DELNOR HOSPITAL WITH NON-LIFE-THREATENING INJURIES. CARBON MONOXIDE INCIDENT AT CONDO/APARTMENT BUILDING. STAGING OLD ORCHARD RD EAST OF SKOKIE BLVD. BOX ALARM AT ABOUT 12:54 PM. DEFENSIVE OPERATIONS WITH PARTIAL ROOF COLLAPSE AT "INTENT AUTO BODY" ONE-STORY AUTO BODY SHOP, 25X50. CHICAGO MUTUAL AID WITH BN 8, 2-1-23, ENG 9, AND SQD 7. ABOUT 10 OTHER FIRE DEPARTMENTS FROM MABAS DIVISION 20 ALSO MUTUAL AID. BRONTO SKYLIFT MAIN AERIAL AT WORK. TWO LINES ON THE FIRE, PRIMARY SEARCH UNDERWAY, AERIAL TO THE ROOF.